Manasi & Poorak are Certified Empowered Couples CoachesSM, Speakers and Entrepreneurs. (www.themodys.com). They have trained and coached couples to feel peaceful and abundant in their relationships and businesses for over 10 years. Manasi is a contributor to the Lake Country Mom Blog where she writes about creating thriving relationships. 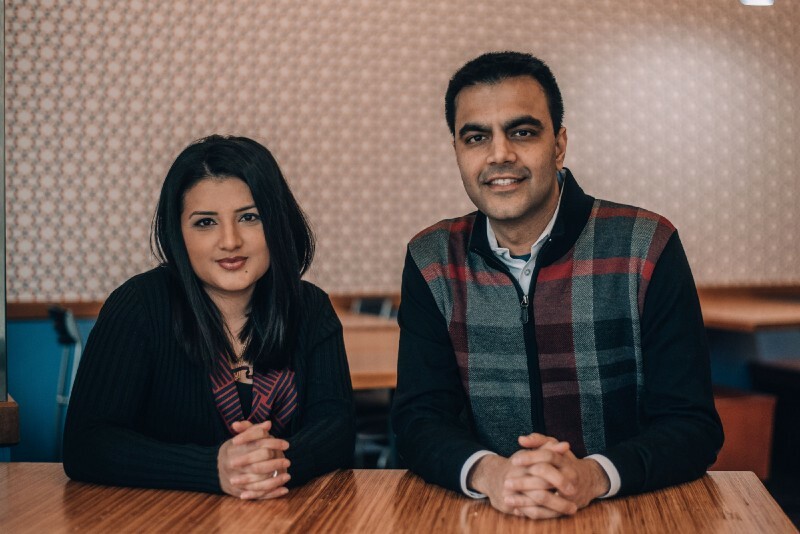 Their passion is to help multicultural couples and parents prioritize their connection regardless of what challenges life throws at them. Poorak: We are so happy to connect and contribute. We discovered the concept of self-love accidentally. Self-love revolutionized our self-awareness, relationships with family, marriage and parenting style. By realizing the importance of self-love to personal fulfillment and relationships we became certified couples coaches. By background, we are Asian Indians. Our society even though rich with culture, rituals, traditions, and history pushes people from childhood to achieve by driving a sense of “never being good enough”. Manasi: We learned that this feeling in us was the cause of eating disorders, body image issues, and academic rebellion. This translated to trouble with intimacy and lack of self-confidence in making decisions later in our relationship and life. We were able to break free through intentional self-love. We believe self-love is; knowing that you are unconditionally deserving of all the good that life has to offer. 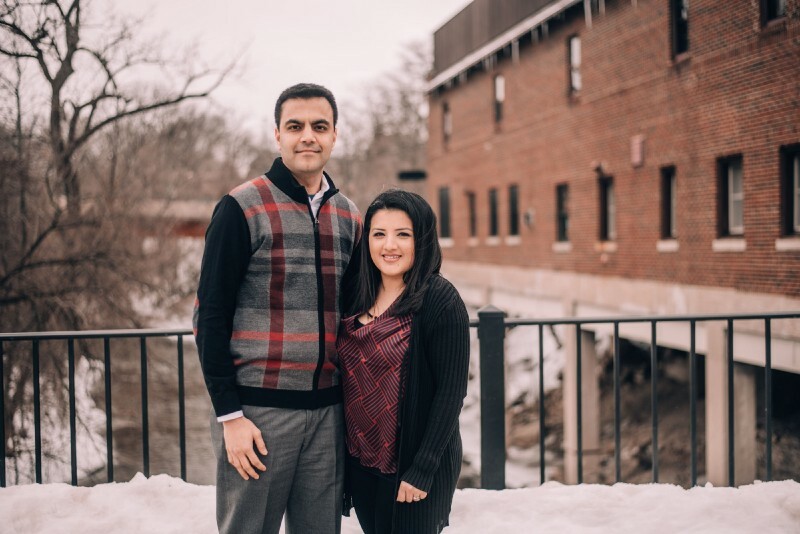 As couples coaches, we deeply focus on helping couples individually develop self-love and become a hundred percent responsible for their mental state, environment, and actions. The giving into the relationship then comes from the overflow of satisfaction and love. We regularly focus on exploring and developing activities and rituals that will fulfill us individually and together. We are so thrilled about our Connected Couples Coaching Program to help couples prioritize their relationship, deepen connection and increase intimacy. We utilize a proven self and relationship assessment tool, researched with 1 million couples over 40 years. 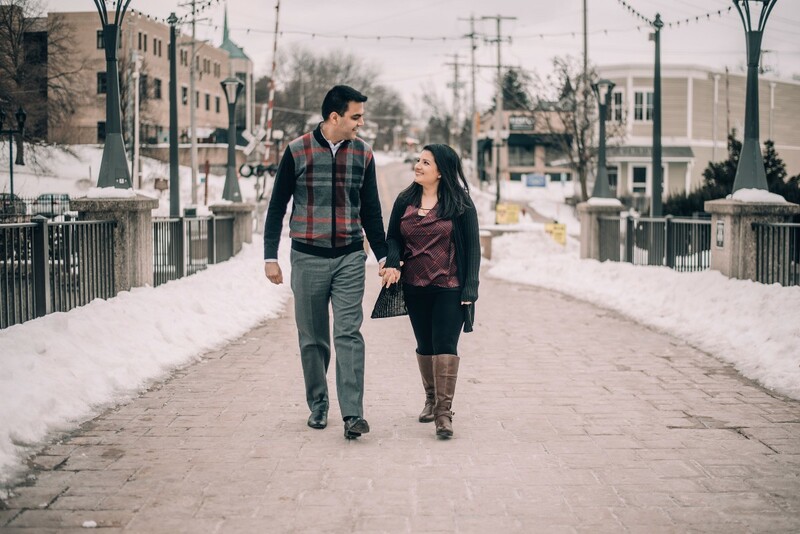 Over a three to five month period, we connect on private sessions, workbook exercises, and regular communication to equip couples to gain more self-awareness and thrive in their relationships. Manasi: A few years ago, when I had my son, due to the lack of sleep I was exhausted beyond belief. I was saddened by the way I felt towards my body, as it was completely unrecognizable. At the same time, I was ashamed of the thought of being embarrassed by my body, as I should have been grateful to it for sustaining and developing a fetus for 9 long months that resulted in a healthy baby boy. Like many new moms, I went to great lengths to keep our lives running as smoothly as before we had our baby. It was hard! I felt like I needed to do it all. I felt that is what was expected of me. As I had seen other women like my mother and sister-in-law do the same. I had been blessed with the joy of motherhood, but I did not feel it. It was as though a mystic fog had set over my life and I was all alone and lost in it. I was pushed to the dark depths of Postpartum Depression and I just knew I had to save myself from drowning in my own big emotions. I spent many days self-loathing and criticizing when I felt I had not managed to complete the day’s tasks or was not able to prepare dinner. One day as I glanced over at my son who was innocently cooing away that I had an ah-ah moment. I cannot give my son what I do not have. I could not teach my son to love himself, to be self-confident, and not second guess himself if I did not do the same for myself. I simply could not be the parent he needed while being filled with self-hatred. This marked the beginning of my journey of self-love and acceptance. I did not know where to begin my journey but I did know that I would figure it out. This self-criticizing needed to end and I decided to make myself a priority. Manasi: Our entire lives we have been exposed to people, media, shows, advertisements that thrive on making you feel you are “not good enough”. Sometimes, people close to us tell us this overtly or otherwise. As that is the way they feel about themselves. The media and businesses tell us this, as we accept “you are not good enough” without the product they are selling. Businesses have built empires out of your insecurities. While growing up you were told, you are not well behaved enough, you do not listen well enough, you are not athletic enough, you are not smart enough and as many girls experience when they hit puberty they were not pretty or skinny enough. It is important to understand, that what believe is not always what is true, but rather other people’s beliefs and thinking imposed on us. The consequences of this can be rather dire. Someone who cannot love themselves, in some cases can develop extreme forms of self-loathing, which may result in eating disorders, troubled relationships (difficulty with intimacy and faithfulness), health issues, substance abuse, workaholism, financial problems, co-dependency on a relationship, mentor or spirituality. o Full acceptance: you will enjoy an exceptional and compassionate relationship with yourself. The number one relationship you will ever share is with yourself. o Resilience: You are human you are going to go through failures in life. However, loving yourself through difficult times in life will enable you to extend yourself grace. Grace will lead you to acknowledge your feelings just where you are and also provide you with the strength to get up once again. o Thriving relationships: Worthlessness comes from feeling shame for who we are. When you are in a relationship and feel worthless you will feel you are not deserving of a great relationship. This may cause issues in intimacy and honesty. Loving yourself will enable you to enjoy an honest, open relationship and you feel free to experience your sexuality. Manasi: When an individual does not love himself or herself that translates into “I am not worthy enough” or “I am not good enough”. Having little to no self-love results in people compromising their standards in relationships, especially in romantic relationships. They will put up with noncommittal, abusive, non-contributing partners because they believe they do not deserve better. Your outer world is a clear reflection of what is going on internally. If you love and respect yourself, you will not put up with anything less than that from a partner. Poorak: Many times what we tolerate is what perpetuates. The level of satisfaction of our relationships will rise to the level of acceptance, value, and love that we give ourselves. We see our relationship as a partnership where we come together with intention, vision, and purpose and we both share in the benefits and risks. We would recommend deeply understanding how you feel in the relationship; is that how you desire to feel in your life? Do you and your partner have a vision and purpose for your relationship? Is that what you intend to create together? 1. Am I being defensive of my behavior/attitude/opinion? 2. Am I stuck being right rather than being curious about the way I feel? 3. Am I curious and open to learn how I can improve my circumstances/ relationships/ attitudes? Poorak: One example that comes to mind for me is about helping out around the house. Early in our marriage, I had a strong resistance to helping with anything in the house, simple things like laundry, dishes, and taking out the trash. I grew up in a culture and household where I did not have to do these chores. Coming to America and living in the dorm I would do the bare minimum. In our first year of marriage, we had a lot of arguments when we started living together. I had to ask myself some difficult questions about my opinions. How much I valued our relationship versus my dislike of these activities. It might seem trivial but it made me introspect and change my attitude and behavior. To truly love ourselves is to see ourselves as the best we can be. A sculptor loves his sculpture from the moment it is a block of stone, which is why he strives to shape it to be the best it can be. Poorak: We enjoy and cherish being around and experiencing who or what we love. In the same way, to be alone with ourselves requires self-love. We live in a world where we are constantly bombarded with information, images and other people’s thoughts. To be alone and sit with our emotions and thoughts creates an understanding and connection within ourselves that can expand to how we interact with the world. The most important relationship is the one you have with yourself. Are you true to yourself and living the life you truly intend to live? It is critical to have the capacity to be with ourselves as it impacts all areas of our life, including achieving your goals, relationships, and well-being. To have a thriving relationship with your significant other you need to first have an exceptional relationship with yourself. Yoga, meditation, journaling, reading, a morning ritual, and many other practices can help you connect with yourself. This is the foundation on which all other relationships will grow and flourish. Poorak: All your relationships will grow out of the relationship that you have with yourself. Self-love is the fertile ground on which all relationships can grow. When you understand your own desires then you can be open to your partner’s needs, wants and desires. The world around you will be a reflection of what you see within. Manasi: Right now can you make an unconditional relationship with yourself, just at the height you are, the weight you are, with the intelligence that you have and your current burden of pain, can you enter into an unconditional relationship with that? Poorak: As a society, we put too many conditions on each other. If you do this, then I will do that. If you feel or believe one way, I will accept you. If you look, think or behave the same as I do, then you deserve my love and compassion. Can we as a society become non-judgmental and look to those different than us with curiosity and honest willingness to learn? 1. Take a thorough inventory of your skills, abilities, and relationships that you enjoy: When I had stopped working to be a stay at home mom, I was suffering from very low self-worth. That is when I started going to therapy, where my therapist made me make a list of all the roles I play and all the skills I have that enhance my relationships. I was so surprised by all my skills and talents. I took what I did on a daily basis for granted. I realized then that if I did not value myself and what I provide for my family on a daily basis, no one else will. 2. Prioritize practices or activities that bring joy: We had a client who was newly married and just moved to a new city. She was lacking confidence and enjoyment in her daily life. We brainstormed some activities that she could try, that would revitalize her and be fun to do. When she decided to take out time for reading while enjoying a cup of coffee and some pampering on a regular basis, she completely felt like a changed person. 3. Have a clear vision: Do I say no to things I do not align with? Most of us have a hard time saying no to things. We take up projects and make commitments that drain our energy. When you define a vision for your life, you can use that as a filter through which you make decisions. For example, something as small as attending a party to making a big job move can be a stress-free decision. 4. Focus and learn to truly feel our feelings: We take a hundred percent responsibility for our own emotional state. In interacting with others and within our relationship we choose the state and attitude we wish to maintain. For example, if one of us is upset about something that happened at work, the other does not join in that emotional state but maintains the positive state while letting the other partner feel and release their emotions. 5. Choose your tribe: Surround yourself with people who support your self-love journey. Deliberately choose the people you surround yourself with for the career, business, relationship and life you want to have. For example, if you would like to have an exceptional marriage, surround yourself with couples that have a growth mindset and are committed to honoring their partner. This can be hard, but we have done this. Over the past 5 years, we have distanced ourselves from some family and walked away from business partnerships that have proven to be detrimental to our self worth and relationship. Currently, all the people in our life are as committed to our self-love journey as we are to theirs. Gifts of Imperfection by Brenee Brown: this book revolutionized they way we understood the word “love”. Brown makes it clear in this book that there is a big difference between saying, “I love you” versus demonstrating love in our daily lives. If you say you love your spouse, then they way you talk to them and act towards them has to be in congruence. Similarly, if we truly love ourselves we need to act in accordance to that. Are we showing ourselves the same love and respect as we show the people we love? Heal your life by Louise Hay: The author of this book is a master of self-love. She explains how what we believe about ourselves affects our bodies by creating or eliminating dis-eases. This book helped us identify various harmful thought patterns we had that were getting into our way of self-love and also provided specific affirmations to overcome those thought patterns. The 5 love languages by Gary Chapman: This is one of our go-to relationship books that we read at-least once a year. It helped us understand that everyone receives love in different ways. How you feel loved might be different than how your partner feels it. Sometimes it might seem like you are speaking different languages. His common sense approach to intimacy really resonated with us. The Empowered Couples Podcast by Jocelyn and Aaron Freeman: This is a podcast for the 21st century couple. It is a no-nonsense guide to having a thriving relationship and building the life of your dreams. We love the practical tips on building a conscious and successful life together. We enjoy hearing from diverse group of couples on topics like building a business, intimacy, communication and conflict resolution. Rise and Rise Together Podcast by Rachel and Dave Hollis: The Rise podcast is a great resource for self-love, entrepreneurship, personal development and leadership. We really resonate with the real life stories and experiences. On Rise Together we learn about succeeding as a couple, thrive as a family and develop an exceptional relationship. Too often we sacrifice ourselves, our relationship and what we desire for our parents, siblings, careers (business) or kids. We would implore couples (and parents) to prioritize their relationship no matter what life throws at them, create a deep connection and live a sacrifice-free life. This is possible if we love unconditionally and have a clear vision and purpose for our relationship. Our favorite quote is “There’s a crack in everything. That’s how the light gets in.” by Leonard Cohen. When we feel down or not good enough we look at this quote, which is up on our board, it reminds us that we are who we are because of what we have been through and who we are now. The contrast that we are experiencing enables us to determine where we want to go. So to sum it up, we are who we are because of our imperfections and we would not want it any other way. Hope this inspires others to embrace themselves as they are and strive to grow out of self-love and have thriving relationships.